Each member of our eye surgery team is a highly trained, caring individual. We take your treatment very seriously and are proud to say that our attention to your needs, medical or emotional, will be second to none. Optyco’s Laser Eye Surgery Prices are affordable and attainable for everyone. 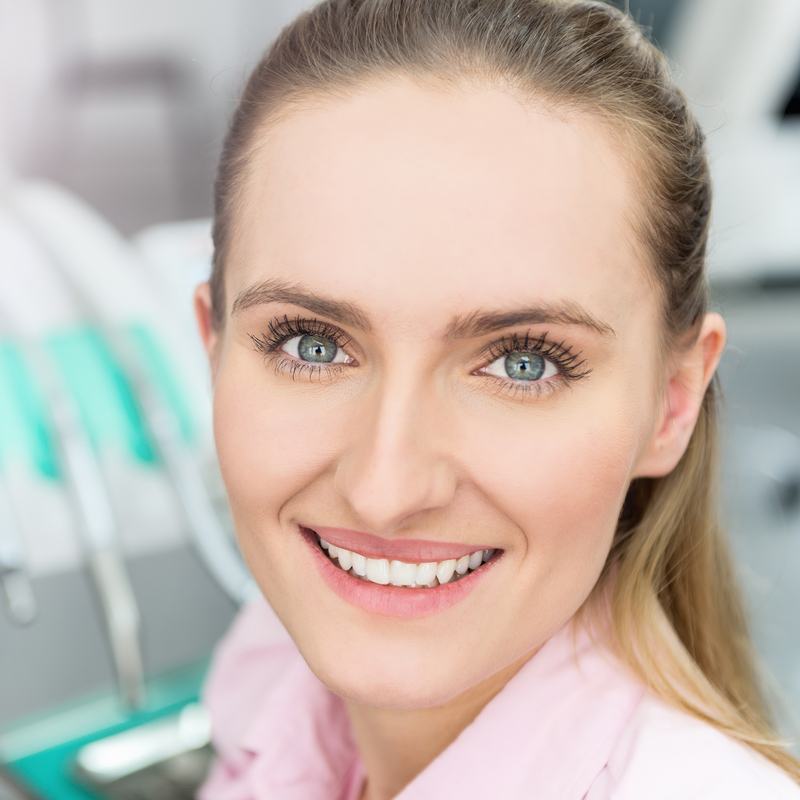 We are so certain that we offer the best value, that we will beat any price for comparable treatment. Finance options also available. At your first consultation for Laser Eye Surgery Leicester, we will give you free impartial advice on the benefits and risks of laser eye surgery. We will then give you advice based on our thorough examination of your eyes. Today the TENEO is the most powerful laser. It guarantees safety and maximum precision. 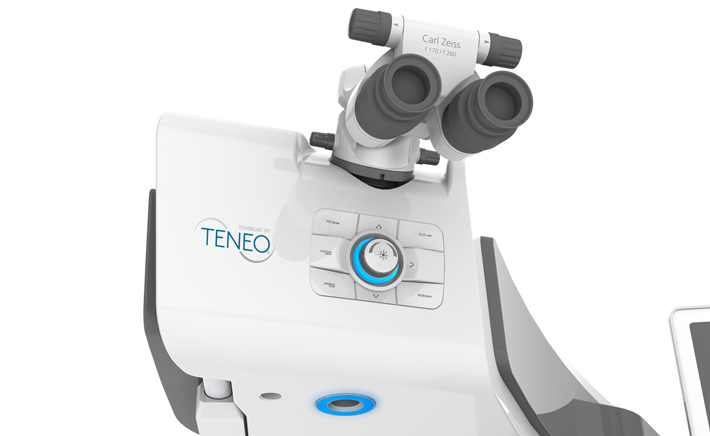 The new TENEO laser is two times more accurate. Indeed, the diameter of its excitions is of the order of one micron, therefore, half the diameter of the preceding versions thereby reducing the exposure time to a half. 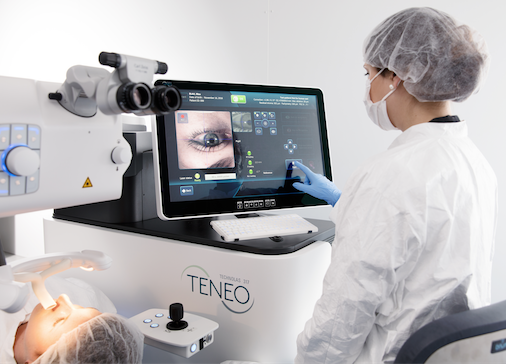 Alongside its new design features, the laser is designed to provide excellent clinical results, of high accuracy, resolution and sophisticated eye-tracking technology. 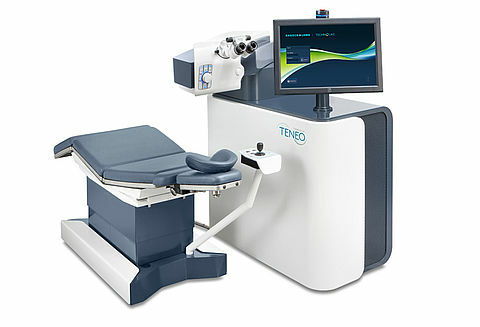 The TENEO 317 is also set up to ensure optimum use of presbyopic LASIK treatment, SUPRACOR. LASIK (Laser-Assisted-In-Situ Keratomileusis) is currently one of the most frequently performed elective laser eye surgery procedures in the United Kingdom and worldwide. LASIK Eye Surgery is a highly effective outpatient laser eye treatment that is suitable for most low, moderate and higher prescriptions. LASIK Eye Surgery is performed by creating a U-shaped protective flap on the front surface of the eye. A laser with a cool beam of light is used to gently reshape the front window of your eye (cornea). LASEK (laser epithelial keratomileusis) is a laser eye surgery procedure that involves removing the top layer of the cornea before re-sculpting the cornea with the excimer laser. During LASEK Eye Surgery this top layer or ‘epithelial sheet’ is then replaced on the surface of the eye and a soft contact lens is applied as a ‘bandage’ for a few days following surgery. While not a common Laser Eye Surgery Treatment it may still be suitable for certain patients. Below details the difference between LASIK Eye Surgery and LASEK Eye Surgery. What is the difference between LASIK and LASEK? LASIK Eye Surgery involves creating a protective flap on the tissue, whereas LASEK Eye Surgery involves loosening the tissue with a medical solution and then carefully moving it to the side for the laser part of the procedure. After the laser procedure, the tissue is repositioned and the healing process begins. During this healing process, the vision gradually and steadily improves. It is important to have all the information about Laser Eye Surgery Treatments before making this big decision. Optyco believe in providing patients with all this information. Why would I have LASEK over LASIK? LASEK Eye Surgery is a great option for patients previously turned down for LASIK Eye Surgery treatment because of thin or unusually shaped corneas. It is also an option for patients involved in a lot of contact sport. Imagine being able to play your favourite spot without glasses or contact lenses. Also Available (Please Contact Us For Suitability Needs): Implantable Contact Lens, Refractive Lens Exchange, Accommodating Implants, Multifocal Implants, Corneal Inlays For Reading Correction, Keratoconus And Cross Linkage Surgery, Corneal Transplant Surgery, Cataract Surgery. What is laser eye surgery and how does it work? Did you know we offer interest-free credit options with no hidden extras? Every patient comes to Optyco with very individual needs, so we ensure that every journey is a tailor-made experience. We offer flexible opening hours, including weekends and late evenings. We will provide you with impartial advice and support at every stage of the Laser Eye Treatment process. This will help you turn your journey with us into a convenient, pleasant and totally stress-free experience. Optyco offer a Free Laser Eye Visual Consultation. 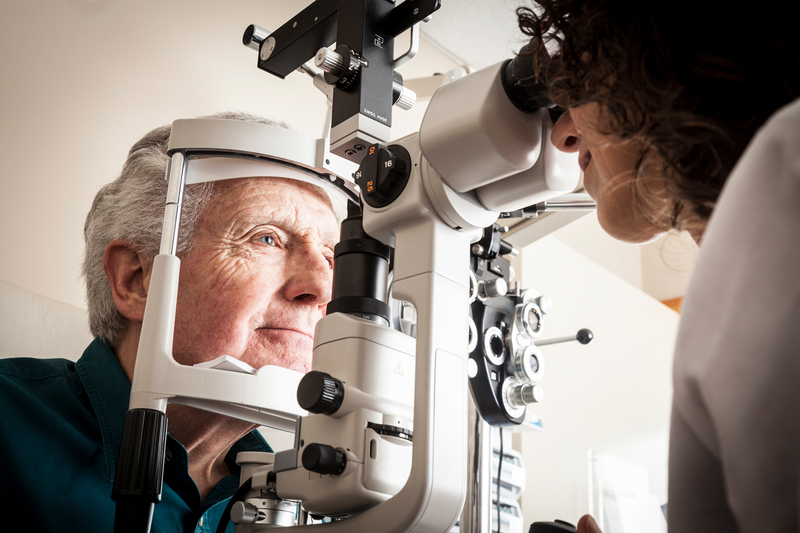 Although Laser eye Surgery at Optyco is a quick and pain-free process, your local optometrist monitors your progress for 6 to 9 months after the surgery. This is to ensure the health of your eyes is maintained. When you first come to visit us at the Optyco clinic, you will meet one of our friendly Optometrists who will carry out your full eye exam to assess. During this exam you will be assessed to see if you are are a successful patient for laser eye surgery with a Free Laser Eye Visual Consultation. Your Optometrist will also answer any questions you may have regarding laser eye treatment and laser eye procedures. They will also explain the different options available to you and also talk you through the procedure itself. The free laser eye visual consultation will take roughly one hour and can be arranged for whenever is most convenient for you. Towards the end of your visit, you will be able to book a Pre-Operative consultation with one of our Ophthalmic Surgeons. As part of our commitment to your ongoing care and complete satisfaction with our laser eye surgery service, our aftercare programme includes a series of visits to your community optometrist. There are usually 5 visits on average, each lasting between 5 to 15 minutes. This will happen over a period of 6-9 months and each visit will include a thorough eye examination. This allows us to monitor your progress and ensure your eyes are healing well. After you have been discharged from our aftercare programme, you should not require any further visits. However if you have any concerns our aftercare team are always here to help you at any time. On the day of your laser eye treatment, it is advisable that you bring a friend or a family member to accompany you. When you arrive at the clinic you will be greeted by a member of our clinic team who will ensure that you are cared for all throughout your visit. You will then meet the team, including your surgeon, the nurses and a technician, who will all be with you for the duration of your surgery. The surgeon will explain the details, stages of the surgery and answer any additional questions you may have. Your surgeon will then carry out additional checks and give their final approval for proceeding with the laser eye surgery. The procedure itself will only take a few minutes. After your surgery you will be relocated to our recovery suite where your surgeon will carry out a Post-Operative examination of your vision. Following this, your nurse will explain the full aftercare routine you will need to follow. You will also receive a full information pack, including our 24 hour aftercare contact number. Your entire visit should take no more than two hours. Patients will need to use prescribed antibiotic and anti-inflammatory eye drops during the recovery period. Eye exams are important, we therefore strongly recommend that everyone, not just the laser vision correction patients, have a dilated eye exam performed by their eye Optometrist 1-2 every years. This is a proactive way to ensure your eyes are healthy and functioning properly. Prior to Laser Eye Surgery, each patient will receive a free in-depth laser eye visual consultation and assessment lasting for up to an hour. 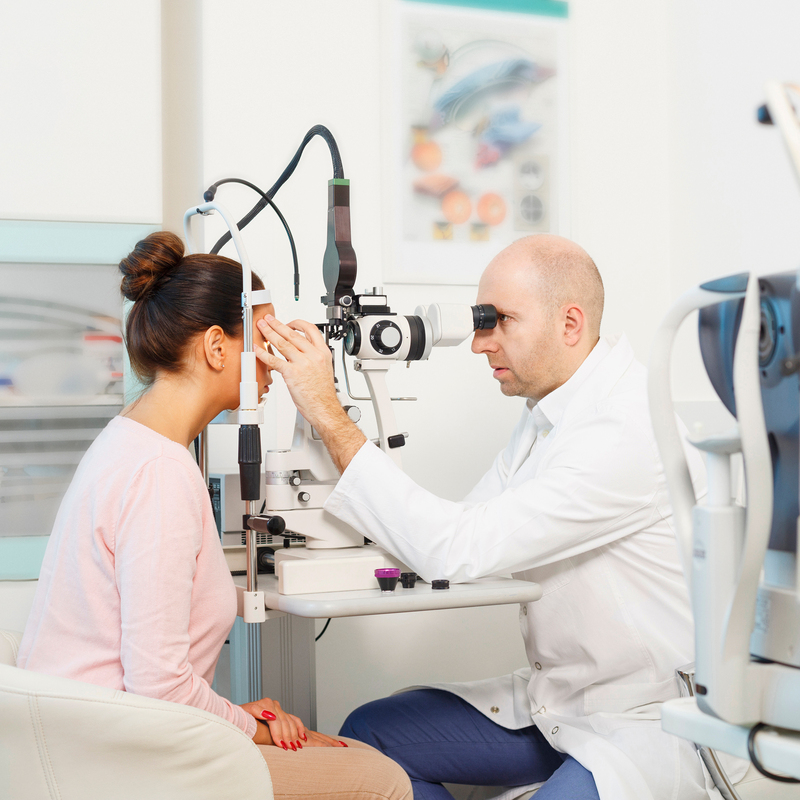 During this examination, your specialist Optometrist will assess your eyes and visual needs to determine whether or not you are a suitable candidate for Laser Eye Surgery. All your questions and concerns will be discussed in depth with a specialist Optometrist. He will offer you support and advice at every stage of your Laser Eye Surgery Treatments and Laser Eye Surgery Procedures. This is used by the optometrist to verify the correct prescription in your current pair of glasses. Reads your baseline prescription by measuring how light is changed as it enters through your eye. Used to measure your eye pressure and a guideline in determining if the pressure can lead to glaucoma or ocular hypertension. Gives detailed information about the surface of your cornea. This provides the specialist refractive optometrist and surgeon with accurate measurements relating to the surface shape and thickness of your cornea. This is a vital test in determining if there is enough tissue to perform the surgery, together with pachymetry (below). The Pachymeter is a medical device used to measure the central corneal thickness. This is one of the key measurements in determining whether you are a suitable candidate for laser vision correction. Identifies and measures lower and higher order aberrations in your eye 25 times more precisely than standard methods used for glasses and contact lenses. It provides the essential data used in a customvue treatment. Measures the quantity of vision the eye can see at near and far distances. The tests usually involve reading letters and symbols of different sizes on the eye chart. Your uncorrected visual acuity (UCVA) is what you see without glasses or contact lenses, while your best corrected visual acuity (BCVA) is what you see with the optimum correction in place. Up to date measurement of the prescription of your eyes using specialised techniques and methods to increase accuracy. A cycloplegic refraction is the procedure used to determine a patient’s true prescription (or refractive error) by temporarily relaxing the muscles that aid in focusing using specialist drops. This aids the assessment of the long term stability of your prescription. This test takes a measurement of the size of your pupils in the dark when they are at their largest, using infrared technology. It is necessary to establish the largest size your pupil is likely to get in dim light or dark in order to ensure that the laser treatment zone is at least that large. This involves a highly magnified, accurate microscopic and optical system used to examine your eyes structures in detail. As we all have one hand stronger than the other, this test looks at which eye is the stronger and has the most focusing ability. The specialist refractive optometrist will assess the health of your eyes both internally and externally focusing in particular on the retina. Specialist drops used to dilate your pupils will allow an excellent peripheral view. This enables extremely thorough health checks and ability to detect of any signs or risks of possible pathology. Before our specialist refractive optometrist is allowed to undertake pre-operative free laser eye visual consultation, they undergo an intensive training process. This is to further their knowledge and experience gained in regular optometry. These professionals are then reviewed and assessed on an ongoing basis to ensure they are maintaining the high standards expected at the Optyco clinic. We at Optyco Laser Eye Surgery Clinic believe in explaining in depth to our patients your Laser Eye Surgery. This includes Laser Eye Surgery Treatment options and potential Laser Eye Surgery Risks involved.